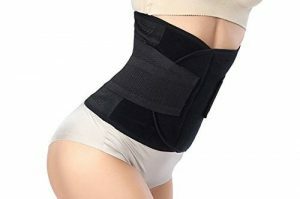 Each of us possess a body that is uniquely our own and the definition of a slimmer waist can vary from one person to another. That being said, we can still discover similar concepts about how to achieve a more fabulous body and we can all agree to give them a try. The reason we are advocating this is the fact that all of us, in one time or other, have idolized the bodies of famous people in film, television or even in the world of sports. The secret to feeling empowered is in the knowledge that we can achieve great bodies as well. All we need to do is focus on 3 vital factors so we can achieve a slimmer body. The proper diet, the right exercise program and the appropriate clothing choices can help us have the celebrity body we have always dreamed of. We want long term results so we need to shift our focus to these 3 aspects simultaneously otherwise we will not get the complete benefits. We must take into account our health on a holistic level so efforts to slim down or lose weight should be done responsibly. With the right mind set, we can achieve considerable change in our body. Let’s have a look at the methods we can incorporate in your daily life to get a slimmer waist in a healthy way. Even if we jog several kilometres everyday, we still won’t achieve a slimmer waist because our concentration would be in the wrong spot. What we have to focus on are our core muscles which are found in our midsection area. If we integrate core exercises into our workout, we will have a better chance of getting a sexier waist. There are many types of crunches and the more popular one today is burpees. Cross-fit trainers use these to motivate their group in strengthening their core muscles. A burpee is a series of movements where you have to bend your knees and jump to stretch your legs backward. This targets core muscles perfectly. You can have different variations to the burpees and you can also try bicycle crunches for a more interesting sequence. All you have to do is lie on the floor with your back flat and raise your knees. Pull your abdominal muscles in and imitate a bicycle pedalling routine with your leg. Remember to tighten your abs so you can get the full benefit of this workout. In dancing with plenty of bending routines, you will feel the sides of your waist hurt after a day. 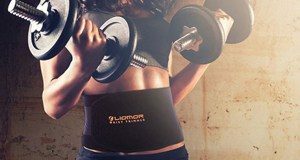 The reason behind this is because you have targeted crucial muscles that need to be toned for a slimmer waist. One bending exercise that is effective in tightening the muscles in your waistline is the side bend. This particular routine is popular on its own or when incorporated to Yoga exercises. There are many variations to this routine and in order to get the best results is to perform this in repetitive movements. The great thing about twist exercises is that they are fun to do and women of all ages can try them. They mainly consist of hip and waist rotations which can results in a much more defined midsection. They challenge the capacity of your body to move in a circle and they make it possible for you to improve your balance. Planking is another popular exercise that can definitely improve your core muscles. You have to rest your upper body on your forearms and your lower body on your toes. It resembles a plank position hence the name. You have to make sure that your body is in a straight line as you hold this challenging position for a few seconds or even a minute. A complete 8-hour sleep is needed by your body to perform to its optimum level. If you have a good sleep every night then your body and mind will function better. By exercising frequently, you will be tired towards evening which will enable you to enjoy your rest or sleep time. As you sleep, your body digests that food that you eat so it’s important that you complete your sleep cycle to achieve a better body. So many fad diets are being introduced today and there is really no end to the creative ideas of nutritionists, dieticians as well as health expects. Some of the foods that we eat can help us get a body that is both healthy and attractive while others tend to make us overweight. Now, the effective diets presented to us are to be considered with an open mind. However, we need to be critical of these diets because some promise results but only for the short term. The key is not to force or deprive yourself. Diets that last for only a month of two will not be sustainable for the body because you are not following the natural tendencies of the body. You should study the different food types that you can eat in small portions for you to maintain a healthy figure. Just lessen your sugar intake but don’t eliminate fat from your diet altogether. Be wise about the food that you eat. Vegetables are still your best option in getting a slimmer body. When you eat them, you will feel lighter and you will notice a healthy glow on your skin. Fruits with their natural juice are also quite healthy to eat. You can eat them often without having the guilt in your heart that you have somehow broken your diet. Pay attention to the concept of moderation. If you are just starting with your diet and exercise, what will help you get a slimmer waistline instantly is your clothing choices. Remember that you can create the illusion of a slender body by wearing suitable clothing and accessories. If you wear black, you will appear slimmer. If you cinch your waist with a belt, you will also seem like you have a curvaceous figure. Speaking of curves, you can achieve this feminine asset through wearing corsets. Wearing corsets underneath your clothes will give you an hourglass shape. It will make you look polished and confident because the extra bulges on your waistline will not be visible. Of course, it will depend on how you will use the corset. Some people pair them with skirts while others are comfortable with corsets and jeans. It’s your sense of style that you will permit you to choose the best outfit for the body that you have now. Corsets are also helpful in giving you a slimmer waist on a semi-permanent basis so be sure to give this one a try. If you have set your heart on achieving an hourglass figure or maintaining a great body, you will need to plan your workout regimen, your diet as well as your clothing choices. When you have started working out, make sure that you have a record of your progress on a daily or weekly basis. By doing so, you can check your notes and determine which areas you can improve on and which areas should you stop doing. Keeping an open mind about your progress is important. Surround yourself with supportive friends who will encourage you to have a better body. It takes hard work to get a slimmer waist but we think it is worth it for your overall well-being so why don’t you begin the journey today? On the road to a slimmer waist, I have a lot of to say since I have been enjoying the waist trainers for years. If you want to know the whole experience about me, you can read My Stand on Waist Training.